In June, legions of coconut oil fans nearly had a collective heart attack. That was when the American Heart Association (AHA) issued a statement to advise people to stop consuming their much-revered superfood. In its report, “Dietary Fats and Cardiovascular Disease” published in the medical journal Circulation, stated that saturated fats, found in coconut oil, butter and animal fat, raises LDL, or “bad cholesterol”. Soybean oil currently accounts for 90 per cent of vegetable oil consumption in the United States; coconut oil, less than 5 per cent. “So coconut oil could not be the cause of the very high rates of heart disease in America,” Dr Newport argues. 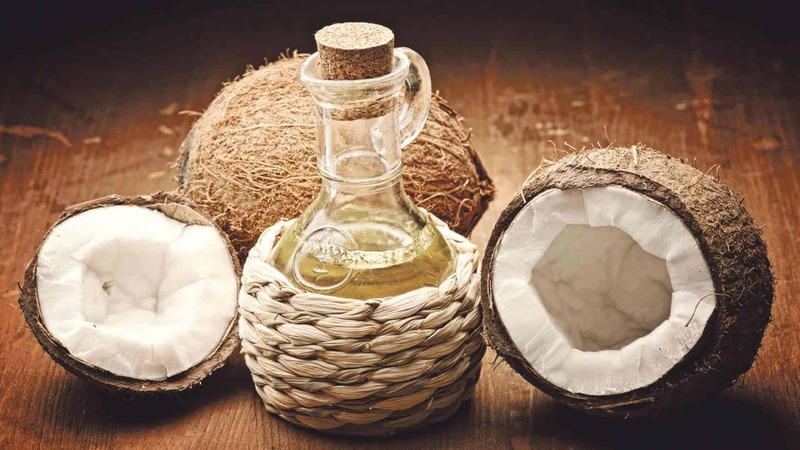 While coconut oil does contain 80 per cent saturated fat, about 70 per cent are beneficial medium-chain triglycerides (MCTs), according to Dr Newport. Then, as natural oils and fats don’t come as individual but combinations of fatty acids, the properties might be balanced out by another fatty acid. Half of coconut oil constitutes lauric acid which has antimicrobial effects on many types of bacteria, viruses, fungi and protozoa. “When the AHA reported that HDL (“good cholesterol”) and LDL went up a fraction of one point if lauric acid replaced sugar in the diet, it didn’t discuss results of what happens to cholesterol when polyunsaturated and monounsaturated fat replace sugar. The report also didn’t show that coconut oil increases LDL cholesterol, just that lauric acid does, by one point. These are minuscule changes,” Dr Newport points out. Polyunsaturated fat oxidises readily with heat, and in the presence of cholesterol, produces oxidised cholesterol which has been shown to accelerate the development of atherosclerosis, leading to heart disease, points out Dr Dayrit. All naturally-occurring fats and oils are made up of a combination of saturated, monounsaturated and polyunsaturated fats in different proportions. Olive oil is 73 per cent monounsaturated fat and soybean 58 per cent polyunsaturated fat, for example. But the good thing about coconut oil’s natural fatty acid is that it fits into the cell membrane normally. “Many cells in our body, including those in the brain and lungs, and white blood cells, need saturated fats to function normally,” explains Dr Newport. Controversy over coconut oil aside, its medium-chain triglycerides (MCTs) are accepted dietary fat derivatives which give the best benefits of coconut oil. In nature, MCTs can be found in human breast milk (10% of the fat in breast milk), coconut oil, palm kernel oil, cow and goat milk. However, coconut oil contains the largest source of MCTs by far (up to 60%), extracted through a chemical process, points out Daniel Wai Chun Hang, consultant endocrinologist. The benefits of MCTs have been recognised since the 1950s – they are known to be a quick source of energy, and also improve cognitive functions and mental alertness. Most amazingly, MCTs don’t accumulate as fats, nor do they circulate in the blood where they can potentially clog up arteries. “They are broken down to give energy directly, or changed to ketones which are then burnt to provide energy,” explains Dr Wai. MCT oils have been used to feed premature babies and for patients whose digestive systems are not functioning properly (due to conditions like pancreatitis or inflammatory bowel disease etc). MCT oils have been shown to help those with Alzheimer’s Disease, and patients with type 1 diabetes with low sugar, and they also promote fat burning which has a positive effect on metabolism. Different people react differently to different foods though, so Dr Wai’s advice is to check with your doctor about your diet and nutrition. The latest MCT oil in the Singapore market, dr. MCT, is a 100 per cent MCT oil formulation which is odourless and unflavoured. Produced by Singapore company Keto Science Pte Ltd in collaboration with Takasago international in Japan, the dr. MCT oil and powder is derived from coconut oil and palm kernel oil. For more information, please go to mydrmct.com.